IRIS e.V. is a private non-profit research and counselling institute in Hechingen / Tübingen. Further information is presented on this page. IRIS e.V. 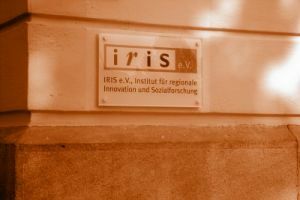 is coordinating the activities of EGRIS – the European Group for Integrated Social Research. EGRIS is a European research network with partners in Denmark, the UK, Irland, Italy, the Netherlands, Portugal, Spain and Germany. Main research topics of EGRIS are the changing social structures and processes of social integration in the context of new trajectories between youth and adulthood and their consequences for the educational and the welfare system.